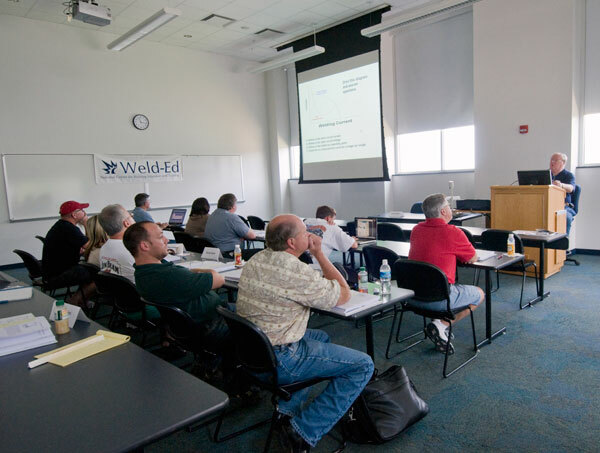 Education opportunities for welders, potential welders, and other skilled craftsmen are steadily growing as the U.S. faces an increasing shortage of skilled workers and a rising number of industrial construction projects. Contractors have been left struggling to find workers capable of performing even common construction tasks. This shortage is the result of an aging workforce of existing skilled craftsmen and public schools systems that have moved away from career and technical education (CTE) in favor of prepping students for Bachelor’s programs. Coupled with a major growth in the number of industrial construction projects in areas like the Gulf Coast, this shortage of skilled workers has left a massive demand for welders and other craftsmen. To cope with this demand, industry leaders across the country have been working with legislators and educators to expand and improve CTE programs and develop more efficient pathways for students to gain industry certification. This push may seem self-serving, but there’s evidence to suggest that an increased focus on CTE programs in public education might be as beneficial to students as it would be to contractors and state economies. Students enrolled in CTE programs would be preparing for in-demand careers in which industry certification often leads to more lucrative employment than a bachelor’s degree. The benefits of learning a skilled craft, like welding, in school are broad enough that politicians are taking notice. At a federal level, the House of Representatives is considering the reauthorization of the Carl D. Perkins Vocational and Technical Act, which provides over a billion dollars in federal support for CTE programs. Meanwhile, the governments of states like Kansas, Louisiana and Texas have all recently taken steps to improve industry-educator cooperation and make CTE programs and eventual certification more accessible. In Kansas, the state pays tuition for students learning technical skills in their final years of high school. In Louisiana career counselors work with middle and high schools students to consider CTE pathways. In Texas, the Texas Fast Start Program is one of several measures designed to speed students into the skilled workforce through more intensive CTE course work. Even local economies are feeling the demand for skilled workers. A Carroll County, Iowa newspaper reported in October that the Des Moines Area Community College has expanded their welding program in order to service local and international labor demands. The college’s expansion might seem modest compared to the sweeping changes of state governments—after all the program only services 10 students—but the expansion is one small example of the effects the national trend is having on education. For the most part, these initiatives focus on getting new workers into the workforce, which solves half the problem contractors are facing in the current environment. However, the demand for welders and craftsman with advanced skills and training is rising just as much as the need for new workers. New craftsmen tend to jump into the workforce quickly, creating a gap in skill level that needs to be filled. Thanks to this skill gap, education opportunities are cropping up for existing craftsmen as well. Many employers prefer to advance current workers rather than train new hires from the ground up. These employers are encouraging their current skilled workers to seek out specialized training and are making use of federal grant money to help those employees. Regardless of your current status in the industry, it’s a good time to start growing.